I have revised the styling for much of the DiMarino lineup, so it would make sense to show off the restyled cars - which now have proper names. And I also plan to introduce at least a few other models in their range during the show. Gavin’s been notified. He says “I should be free”. Scagliati will be bringing an all-new model to the LA Auto Show - one that the company feels is very important to have in the American market. We might also bring a classic from the museum too, while we’re at it! AL Autos will be in attendance of the 2017 LA Auto Show! 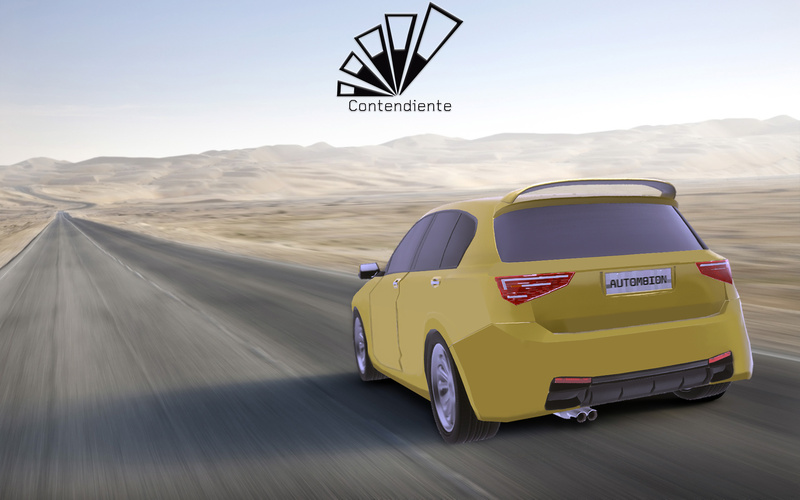 Ganter Motors will show the new gen Indiana, equipped with a new multimedia system and new luxury version. In 2019, it will get an autopilot. Erin have confirmed that they will be in attendance, with a special display related to a recent special announcement from ErinSport. 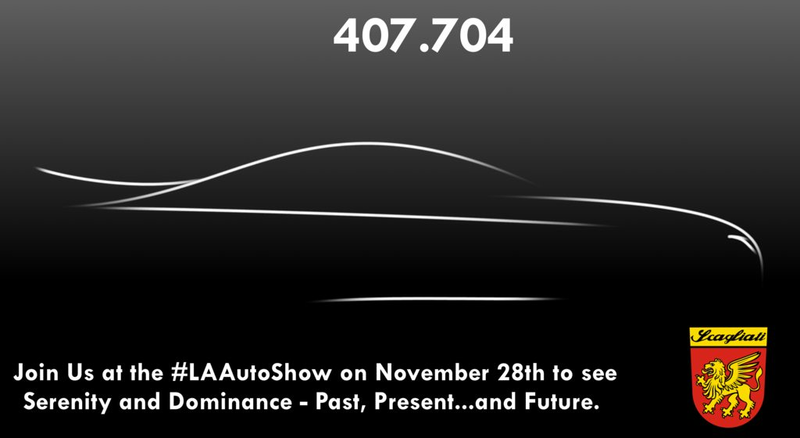 With said announcement taking place on December 1st, the day the show opens to the public, the Los Angeles Auto Show will therefore be the first time the public gets to see what we have in store. With this image, followed by a short chain of tweets, Maine Motor’s twitter accont confirmed today that they will be attending the LA Motor Show. They will show their next generation of the Convict utility vehicle, and an extra surprise reveal. That looks like some interesting design choices for the front of the car. Seems to fit well together stylistically. Will be watching this at the unveil. Scagliati is going to be bringing something very special to the #LAAutoShow next week, with rumours swirling that the company will have three cars on display; a never-before-seen, freshly-completed restoration from the Scagliati Museum, the new model that everyone has been buzzing about for the last few weeks, along with a very special model that represents the best the company has to offer its valued clients. Join us on the 28th at the Scagliati stand in the West Hall for the big event. #Crossover or #Wagon reads the email title. What? 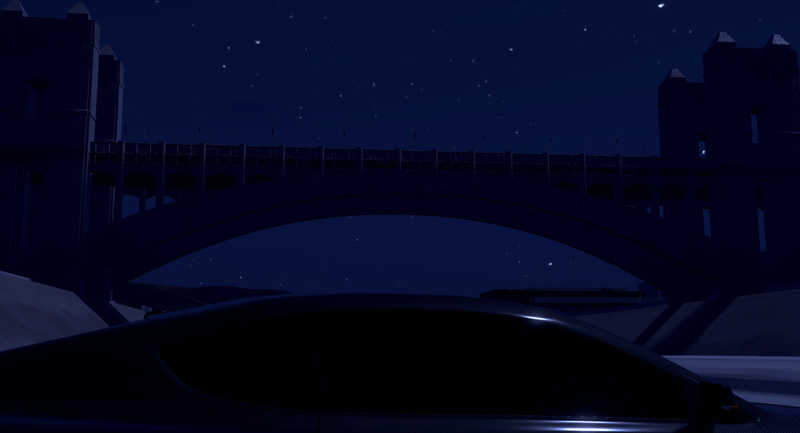 Conte seem to be trying to blend the boundaries between a type of car that already blends boundaries. Who knows. 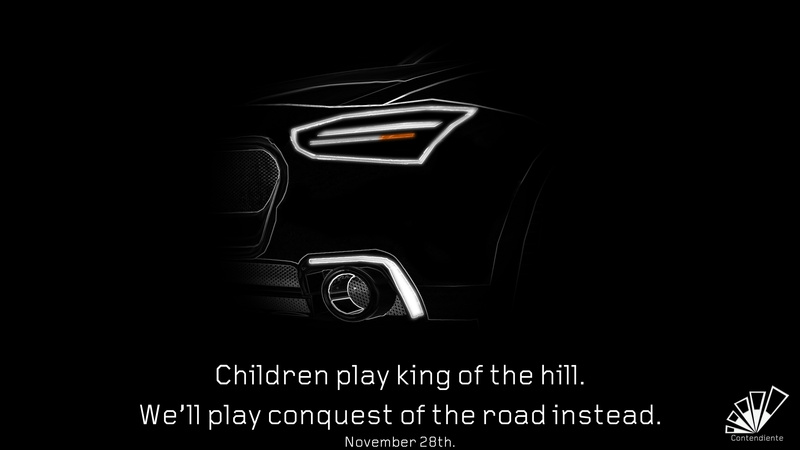 Apparently it’s going to be the king of the road. I’ll be holding them to account on that claim. ‘Scagliati will be here’. 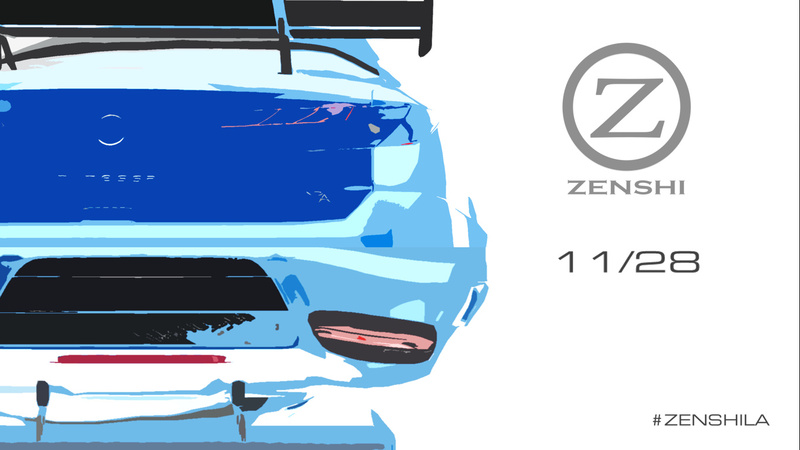 ‘Zenshi will be sending a car to the show. More information soon’. _‘Something something Zavir something something’. Are you lot having a laugh? What is the point of teasing anything if the teaser is “we’re going to be here”. I thought the ‘car outline on black background’ trend was bad, but this takes the biscuit. Come on, please. There’s going to be a new Miller Argonaught. Great. Joy of joys! AL Autos will be at the show. Rumours are suggesting that they’re cutting their usual cartel of 40 different vehicles that they bring to a show down to just 33! Ganter will be there, with some blotchy, overly contrasting teaser of a car that “In 2019, … will get an autopilot”. As oppose to two autopilots? Or a handful of autopilots? #GETREADY, #GETREADY, #GETREADY. YES OKAY ERIN WE GET IT YOU’RE LAUNCHING A NEW RACE CAR CALM DOWN IT’S NOT THE SECOND COMING OF JESUS. 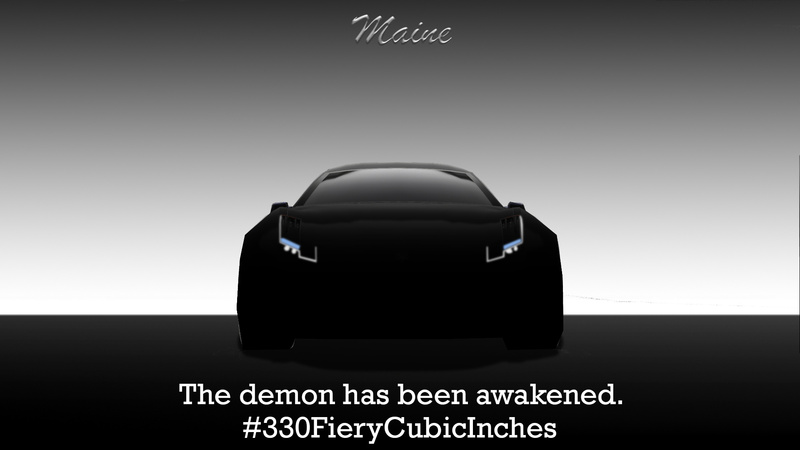 Maine have reawakened the devil apparently, and it looks like some kind of sports car. More to follow. …you get the picture, they’re releasing a new car. Zenshi’s art department soon followed suit with a “look at me I can use the ‘pastel painting effect’ tool” style teaser, which appears to be showing off two cars. And of course, they’re both in Ramune Blue Mica. Conte also added (I think?) to their previous ad with a teaser of a new hot-hatch kinda thing. Looks decent, and has a spoiler. Nice. A mixed bag then on the teaser front. Time to go get on my plane, and with any luck, by the time I’ve landed there’ll be a few more decent hints at what we’re going to see at the show. Gavin out. The LA Auto Show is an expo for architecture now? Are you lot having a laugh?